STV is a leading, award-winning professional firm offering engineering, architectural, planning, environmental and construction management services. We consistently rank among the country's top firms in many of the markets we serve, including education, corrections, highways, bridges, rail and mass transit. Throughout the United States and in Canada, STV’s professional, technical and support personnel offer services to a broad and ever-expanding client base. With services that span planning/pre-design, design, program and construction management, and environmental sciences, we meet our clients’ needs through our disciplinary diversity and flexibility. STV has been a leading partner with airport operators and other stakeholders in helping to make vital improvement programs a reality at some of our nation’s busiest cities. The firm’s dedicated team of experts has capabilities covering every facet of the aviation and port market sector, including airside, landside and waterside improvements, all while helping owners meet strict deadlines and tight budgets while maintaining vital airport operations during construction. We pride ourselves on our ability to deliver turn-key projects covering all aspects of bus transit infrastructure and vehicles, including the design, planning, operation and maintenance of Bus Rapid Transit (BRT) systems. Our expertise covers bus and support vehicle specifications, procurement and inspections, including all-electric buses and propulsion systems; and the design of bus stops, depots and maintenance facilities with state-of-the-art fluids management systems. Our work on bus stations and depots reflects our safety-first approach and commitment to security, passenger amenities, aesthetics and accommodations for all passengers. Revitalizing and expanding the nation’s industrial plants has long been a major STV focus. Our engineering and architectural assignments for industry have encompassed new designs and modernizations for manufacturing and industrial systems, and the buildings and infrastructure that house and support them. Likewise, our owners representative specialists provide comprehensive services for corporate office projects such as new build-to-suit developments and interior renovation assignments, assisting clients throughout the project lifecycle with master planning, site selection design management, pre-construction, construction, move-in and project closeout. STV’s philosophy is to create educational facilities that enrich the student’s learning experience. We provide expert in-house planning, programming, phasing, architectural and engineering design, and project management services that are critical to the success of educational facilities. For colleges and universities, we work on residences, food service facilities, student unions and lounges, and athletic centers. For preK-12 clients, we create facilities that provide positive learning environments. Our multi-disciplined services also support the design of cultural centers—many of which are associated with educational facilities. Driven by our focus on quality and client service, STV excels at meeting the challenges of all types of energy assignments, developing innovative solutions for a wide range of energy requirements. We measure success by the longevity of our client relationships and the number of safely completed projects, in the hundreds nationwide. STV’s comprehensive environmental services practice began in the 70s. Today, clients turn to our experts to guide them in meeting changing environmental planning, permitting, design and construction management needs. Our diverse staff of planners, scientists and engineers provide air quality, natural resources, hazardous material, water and wastewater, solid waste and environmental documentation services in a timely and cost-conscious fashion. We can help bring our clients’ past environmental problems into compliance, give them the tools to stay in compliance, and determine how changing regulations will affect their future. STV provides a holistic design practice for health and science clients. As architects and engineers, our work focuses on creating healing, productive environments for family, the patient and staff, sustainability, and the importance of evidence-based design in advancing the standard of care for both the public and private sectors. Our design experience includes new construction and renovation of inpatient and outpatient facilities, behavioral health, clinical research and basic research laboratories and diagnostic laboratories. We also offer master planning for academic medical centers and research campuses. 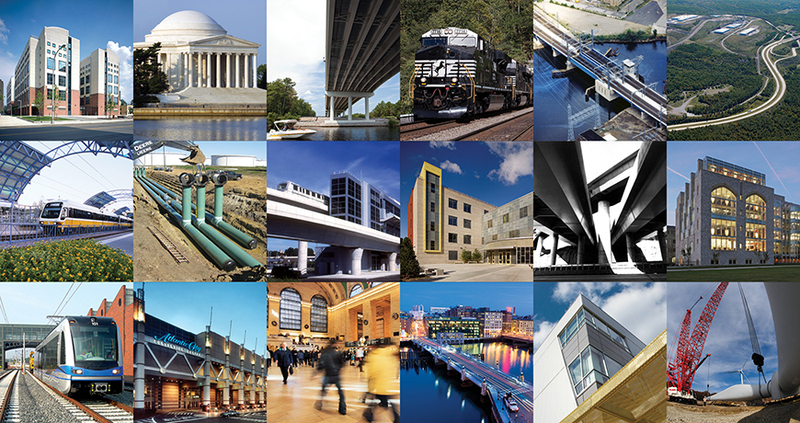 As one of the top 25 highway and bridge design and engineering firms in the country, we have experience in all facets of transportation infrastructure projects of varying scope and complexity. We have taken on major highway projects including extremely complex interchange designs in urban and rural settings. Our bridge capabilities include unique coastal bridges, bridge widenings and replacement projects for fixed, movable, long-span and viaduct structures. Our experts perform bridge inspections and inventories, seismic analyses and retrofitting, corrosion control, soils and foundation analyses, constructability assessments and resident engineering and inspection services. STV has been a long-time market leader in rethinking correctional and justice design. Our work is informed by our experience in creating humane correctional environments based on rehabilitation and treatment. We have pioneered new directions in design that feature natural light, security without bars, and open sight lines for maximum visibility, which we have implemented in the planning and design of more than 400 correctional and justice facilities in the United States and abroad. We were among the first to incorporate innovative correctional design concepts like Unit Management, Direct Supervision, and the Mini-Jail, all of which are commonly used today. STV is a proud partner with all branches of the U.S. military by offering a diverse range of planning, design and construction management services for a myriad of project types. Serving the military for more than seven decades, STV has provided our military clients with the design and construction of headquarters, offices and operations, training, conference areas; barracks and officers’ quarters; equipment testing facilities, laboratories; SCIFs, process facilities, computer rooms; and maintenance and industrial service shops. For more than 40 years, STV has served the rail transportation industry. Our responsiveness has earned us the reputation as a leader in transportation infrastructure planning, design and construction management. With specialists in operations planning, vehicle technology, design, and construction management, we offer clients one cohesive team that focuses on seamless project delivery, including design-build and design-build-operate-maintain. Our insightful approach comes from our talented professionals, who have worked on systems across the country. We shape projects from initial planning through final design, system startup and operation. Our multidiscipline team of architects, engineers, and construction managers creates innovative solutions that address master planning and design, through to pre-construction and construction, move-in and project closeout. Further, STV’s team supports renovation and relocation projects, as well as new construction initiatives for public and private housing, retail establishments, and hospitality clients. We appreciate the demands of such projects on each organization while understanding and minimizing potential disruptions to businesses. STV’s team of resiliency experts use innovative strategies to plan and design facilities and infrastructure that can withstand extreme weather events. What makes STV different is our expertise in protecting the “urban environment” through our full range of in-house planning and engineering disciplines. We also provide services in hydrology and hydraulics; coastal engineering; energy resilience; bridge resiliency; traction power; drainage; water resources; and a broad array of environmental engineering. As a leader in climate change planning and design, we are prepared to become a partner for your resiliency needs.